After beginning to talk about potential trades and/or free agent signings during Kings of the Roundtable, Episode 4, the group is back to finish that discussion, as well as go to-to-toe on Dustin Brown losing the captaincy, the possibility of a bounce back year from Tyler Toffoli, should Anze Kopitar be expected to raise the play of his wingers, is Justin Williams a realistic target for July 1, Marian Gaborik’s future, and much more. MayorsManor and The Fourth Period partnered to bring you an all star cast — featuring Dennis Bernstein (Senior Writer at The Fourth Period), Jonathan Davis (host of The Two Man Advantage on Sirius XM NHL Network Radio), Brian Slagel (Metal Blade Records CEO), and Earl Skakel (Stand Up comic, as featured on Comedy Central’s Roast Battle) — to debate a myriad of topics, all for your enjoyment. 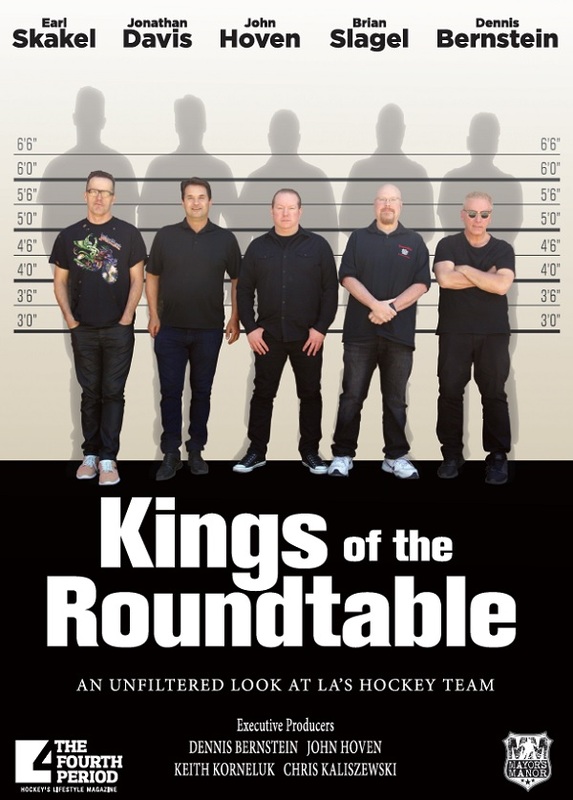 Hosted by Keith Korneluk and Chris Kaliszewski, you’re about to get an overwhelming helping of LA hockey knowledge. Enjoy! Be sure to also have a little fun by checking out the links below to previous Roundtables. 2013 LA Kings Media Roundtable Part 5 – Does Lombardi’s style work?